Created by California farmers and accredited by world-renowned scientists, LODI RULES is America’s original sustainable winegrowing program. Carefully managing quality and efficiency while appreciating every drop. Encouraging biodiversity and practicing stewardship. Engaging and supporting our neighborhoods. Making our vineyards a safe, rewarding environment to work in. Building organic matter and maximizing water penetration. Using an integrated system which includes natural predators and minimizes risks to birds, bees, water, and people. Farming for the next 100 years. Producing exceptional, flavorful grapes to turn into remarkable wines. Lodi, California – where LODI RULES began and is headquartered - is a town just south of Sacramento with a unique farming community. There are many crops in Lodi, including cherries, almonds, olives, and pears, but the largest planted crop by acres is winegrapes. Everywhere you look there are stunning vineyards. The local police cars have bunches of grapes on their doors and some local high schools have student vineyards! Lodi is one of the few American wine regions with ancient vines – vines over 100 years old which survived through the Prohibition era. These vines were saved from ruin by the wits of savvy farmers, who stayed in business during Prohibition by shipping grapes back east for home winemakers. 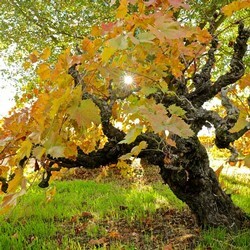 Hundreds of these treasured ancient vines are part of the LODI RULES program today. Incredibly, Lodi farmers vote every five years on a self-imposed grape tax which funds their Commission, whose mission is to promote the region and provide education and research. In 1992, the Commission launched a grassroots farmer education program aiming to reduce the amount of pesticides used by learning about the entire vineyard ecosystem (called integrated pest management). They wanted to farm more responsibly to ensure that farming could carry on for future generations. This grassroots educational program later turned into the formal LODI RULES sustainable certification program in 2005, after over a decade of input from farmers, viticulturists, and leading environmentalists. 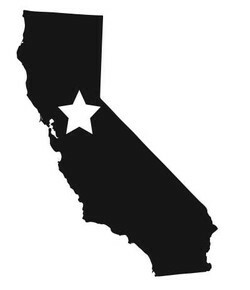 The farmers and friends of the Lodi Winegrape Commission never imagined in their wildest dreams that their grassroots farmer education program would spread throughout California, let alone into other countries. 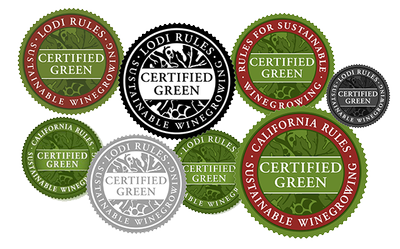 Today, there are over 1,000 vineyards certified under the LODI RULES program all over California and in Israel. In fact, two new seals were created for wineries outside of Lodi to use on their wine bottles. All three seals - LODI RULES, CALIFORNIA RULES, and a universal rules seal - carry the same rigorous meaning of verified, scientifically-sound sustainable farming which emphasizes environmentally and socially responsible practices, while keeping economic feasibility in mind for long-term business success.